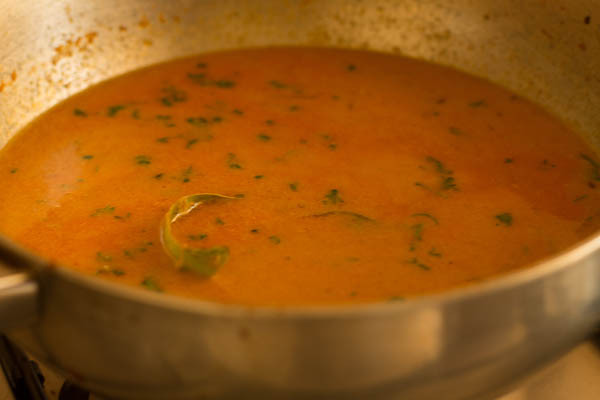 Punjabi Prawn Curry recipe with step by step photos, now make prawns curry at home in Dhaba style. 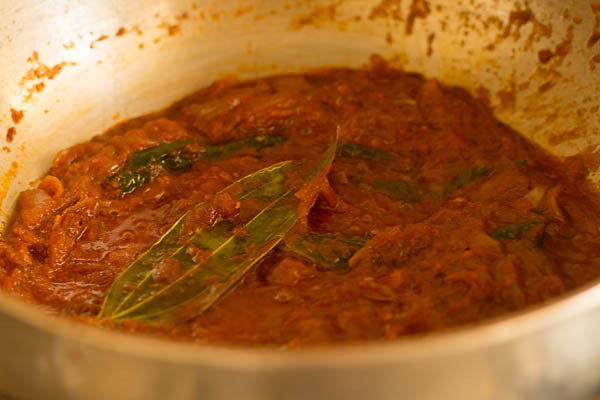 The curry goes well with rice, pulkas, roti or naan and is a treat to stomach. Had made this while I stayed at my parent’s house and was relished by all. Even my hubby and friend’s loved the curry. So its a honest feedback from my own critics also a tried and tested curry which wouldn’t go wrong. 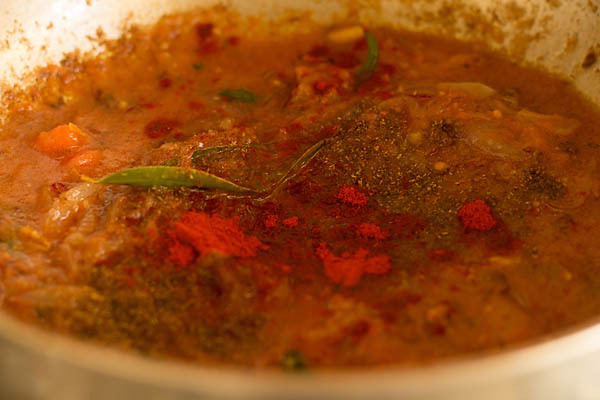 The ingredient’s used in the curry could be easily found in your kitchen. 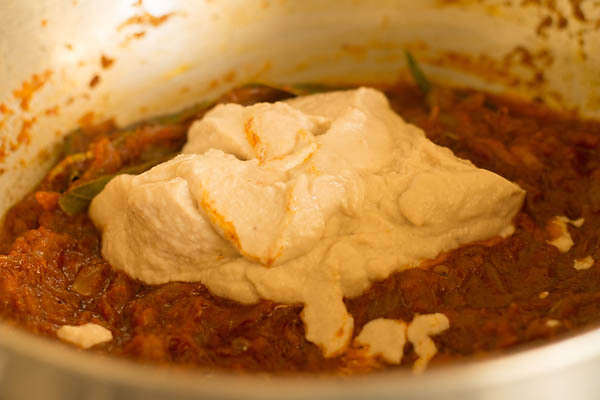 Generally, yogurt is used for dhaba style curries. But fish with yogurt combination is something which I am not comfortable with. Hence used cashew paste to replace with yogurt for this curry. 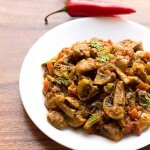 The consistency of this curry is medium but make them as per your preference. 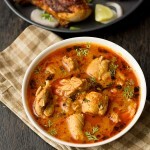 We love dhaba food hence keep making dhaba style curries and recipes at home. 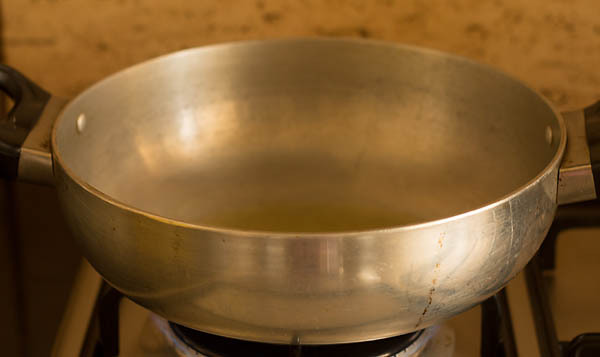 Nobody could beat their taste and flavor but you could try making home at-least it’s hygienic and less oily. Selecting Prawns – Prawns should be fresh they should be firm and intact. If they appear not in shape, color changed then refrain from buying them. 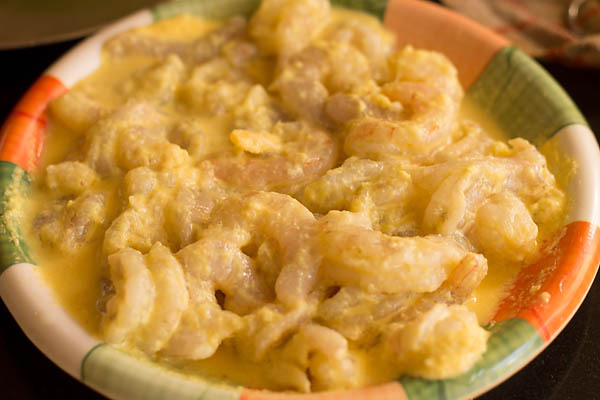 For this recipe you could use canned prawns, however, prefer fresh anytime. Also, it’s imperative to remove the spine of the prawn which is a black or white thread. Otherwise, they could create indigestion issues. Firstly rinse the prawns de-vein and place aside. 2. 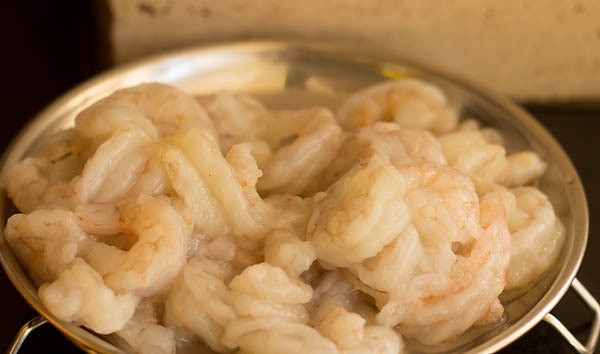 Marinate the prawns with ginger-garlic paste, lime juice and salt. Allow to rest for 10-12 mins. 3. Meanwhile, grind onion with cashew until a smooth paste is formed. 4. 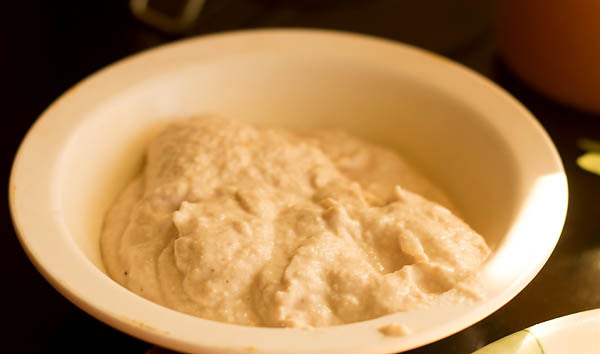 The paste should look somewhat like this. 5. I have grounded fresh tomatoes for puree. 6. 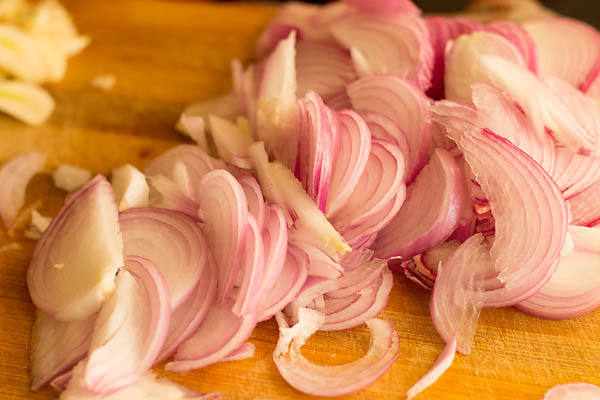 Slice onion and keep all the ingredient’s handy for the curry. 8. Once the oil is heated add the marinated prawns and shallow fry. 9. Fry them for just a minute. Now remove them with a slotted spoon and place aside. 10. In the same pan add caraway seed and bay leaves. 12. Now add sliced onion and saute. 13. Saute onion until they change color to light brown. I always add little sugar and salt as this aids in caramelizing the onion faster. 14. They should appear like this. 15. 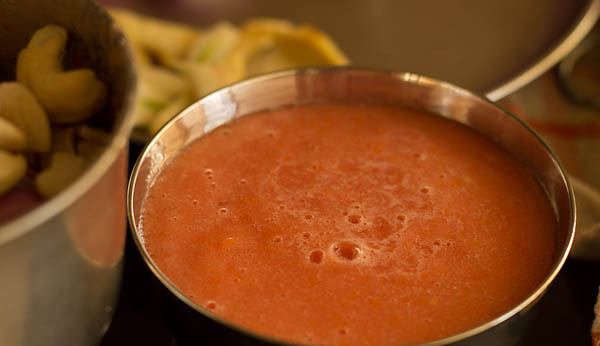 Now add the fresh tomato puree. 16. Also, add in all the spice powder except amchur powder. 17. 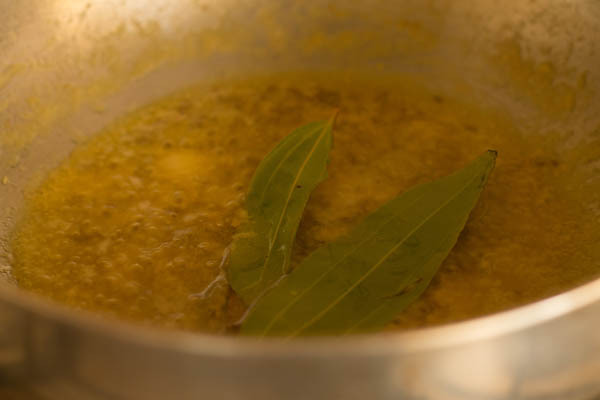 Stir and simmer until the mixture starts thickening and start leaving oil towards the edges. 18. 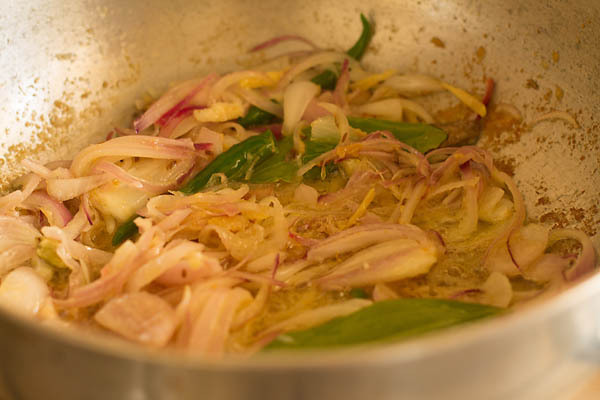 Time to add the cashew-onion grounded paste. 20. 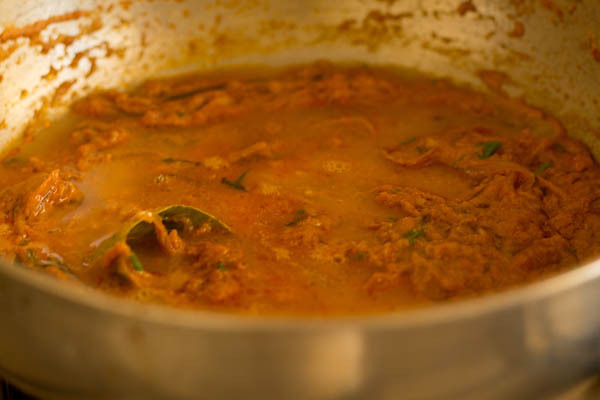 Also, add the chopped coriander leaves. 21. Keep stirring for a minute. 22. Add water and stir nicely. 23. Simmer until they bubble. 24. Lastly add the fried prawns, salt and cook for a minute more. Switch off the gas add amchur powder, little of garam masala powder and kasuri methi. I don’t have a pic for this step. 25. 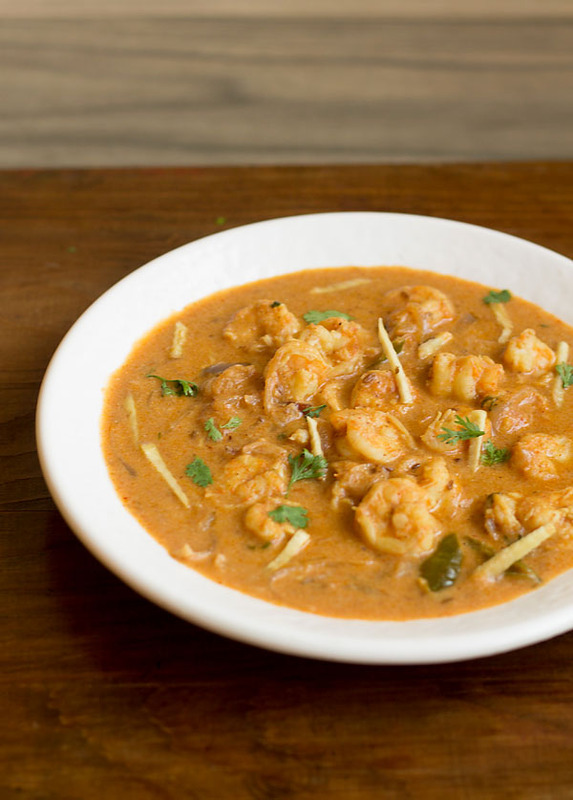 Serve your prawns punjabi curry with roti or rice. 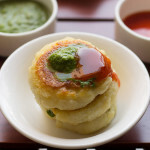 If you are looking for more north indian recipe then do check dhaba style chicken curry, chole curry, butter chicken, sarson ka saag, how to make bhatura with yeast, paneer taka tak, paneer bhurji, methi malai paneer and malai paneer. 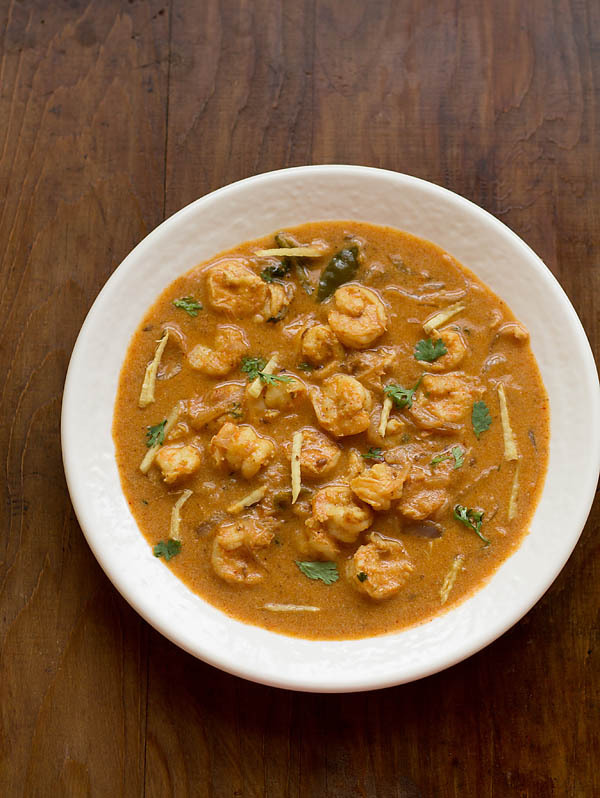 Easy Punjabi Prawn Curry recipe now make at home in dhaba style. 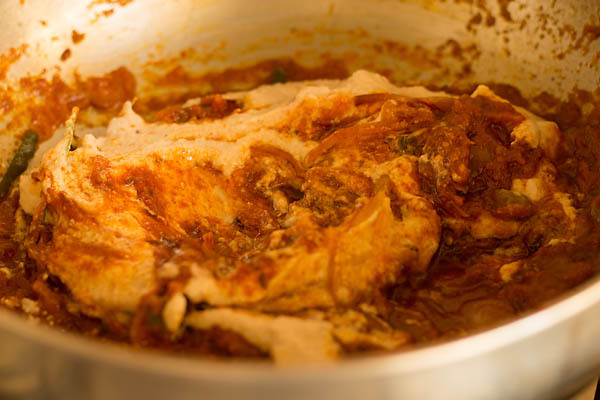 Prepared with onion, tomatoes, cashew paste and spices. Marinate the prawns with ginger-garlic paste, lime and salt. Allow to rest for 10-12 mins. 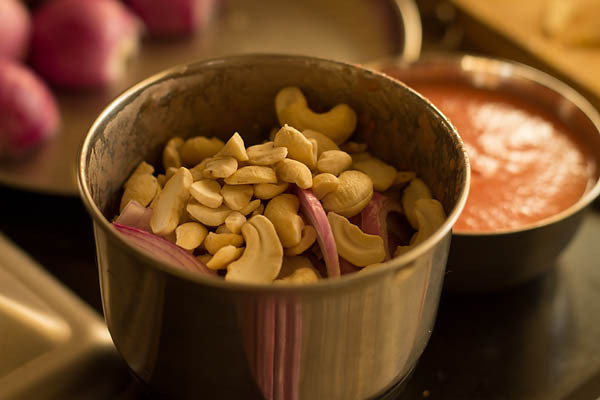 Meanwhile, grind onion with cashew until a smooth paste is formed. 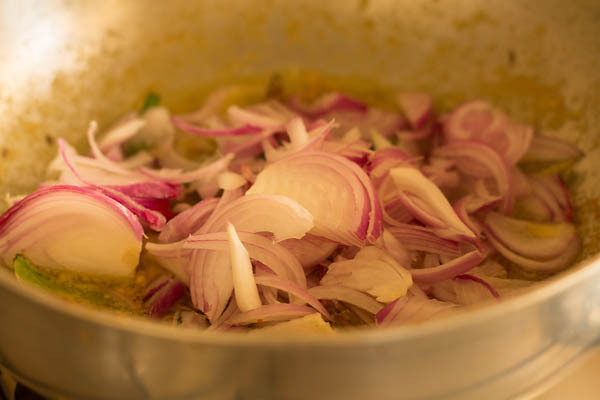 Slice onion and keep all the ingredient's handy for the curry. 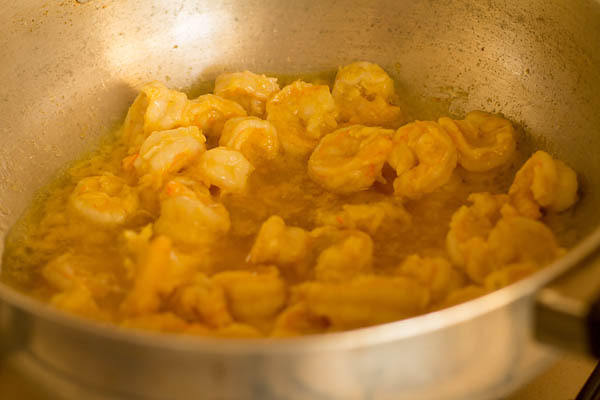 Heat oil in a pan and shallow fry the marinated prawns for a minute. Now remove them with a slotted spoon and place aside. In the same pan add caraway seed and bay leaves. Now add sliced onion and saute. Saute onion until they change color to light brown. I always add little sugar and salt as this aids in caramelizing the onion faster. They should appear like this. 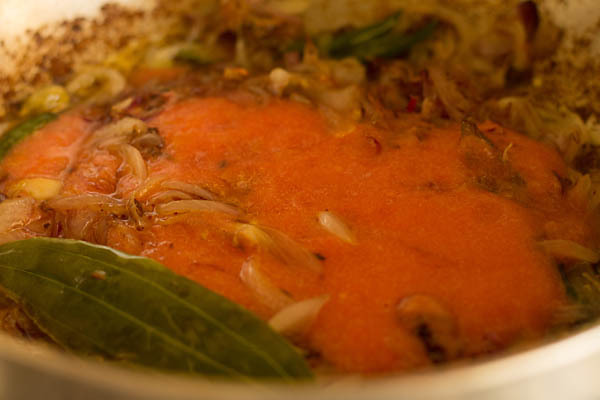 Now add the fresh tomato puree. Also, add in all the spice powder except amchur powder. Stir and simmer until the mixture starts thickening and start leaving oil towards the edges. 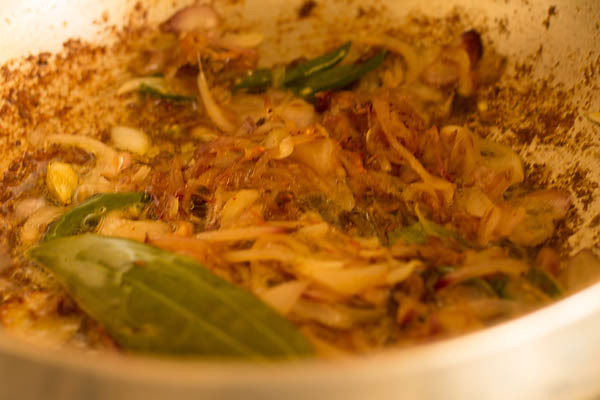 Time to add the cashew-onion grounded paste. 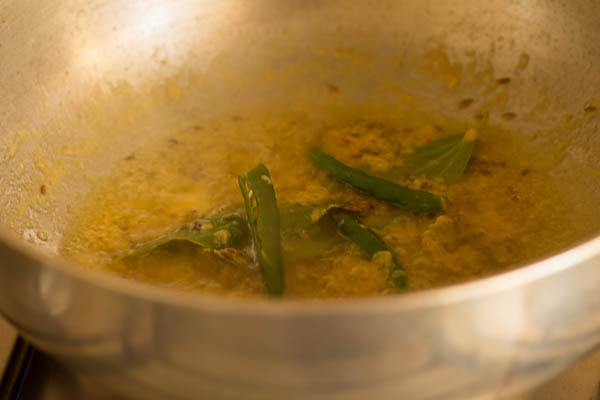 Stir nicely also add the chopped coriander leaves. Keep stirring for a minute. Add water and stir nicely. 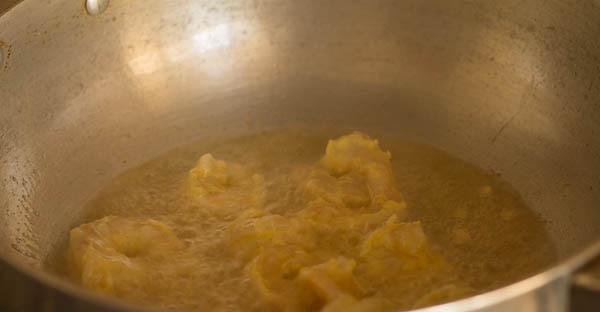 Lastly, add the fried prawns, salt and cook for a minute more. Switch off the gas add amchur powder, little of garam masala powder and kasuri methi. 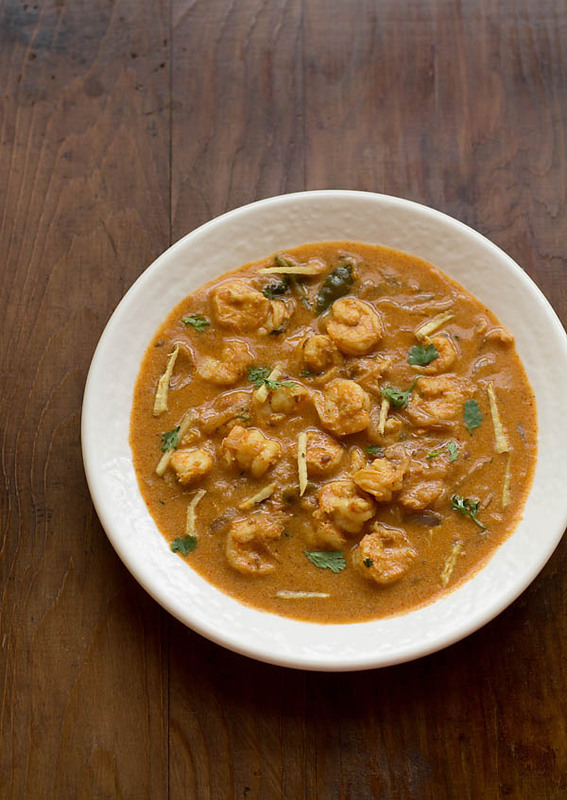 Serve your prawn's punjabi curry with roti or rice. 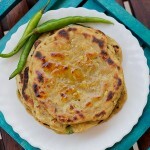 It tastes better with naan, rotis or steamed rice. 1. Alter spices as per your taste and preference. 2. 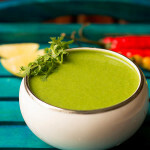 I have used green chilies and red chili powder which balances the spice however if you like spicy then add as per your choice. 3. 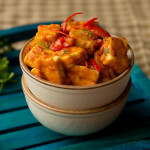 You could replace prawns with paneer or chicken. Variation: I added colored bell peppers towards the end…it turned out great. 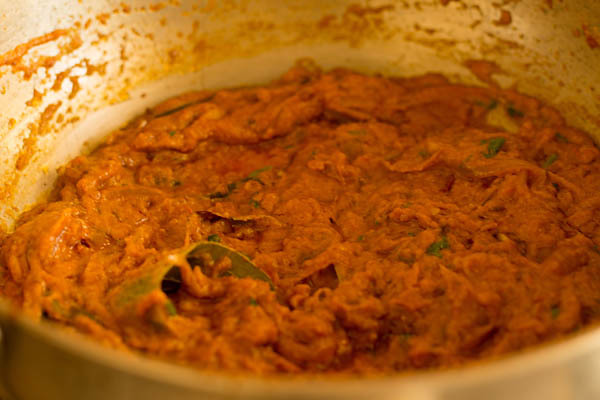 Divya thanks for trying the punjabi prawn curry pleased to know this 🙂 you are welcome. Hi Maria your recipes are excellent! But I can’t see any chicken recipes dear. Could you kindly mail some to me? Vanessa allow me some time will mail you the recipe, however which chicken recipe are you looking for? thanks for positive feedback. Lei it’s mentioned scroll down amchur powder is added towards the end when you switch off the gas. 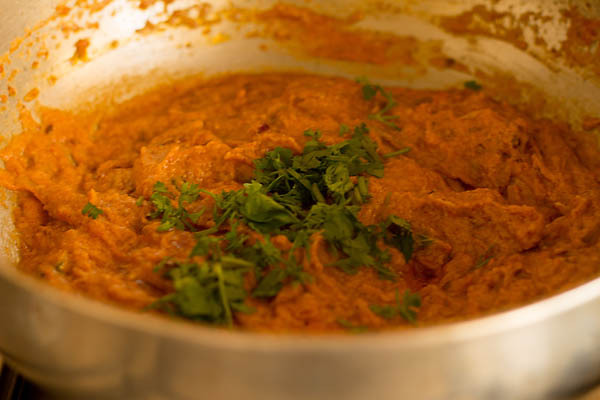 Hope this information helps you let us know how the curry was? thanks. Ya thank you maria the curry was so excellent. Everybody enjoyed it very much especially my children.Thanks a lot for this receipe. Come up with more receipes like this. Iam giving you 5 star for this. Pleased to know this Casy thankyou for your kind and encouraging words 🙂 glad your kids loved them. Surely would come up with more recipes and you are welcome. The curry was awesome my husband liked them and finished the curry thanks so much for nthis delicious curry … I am a great follower of your blog.